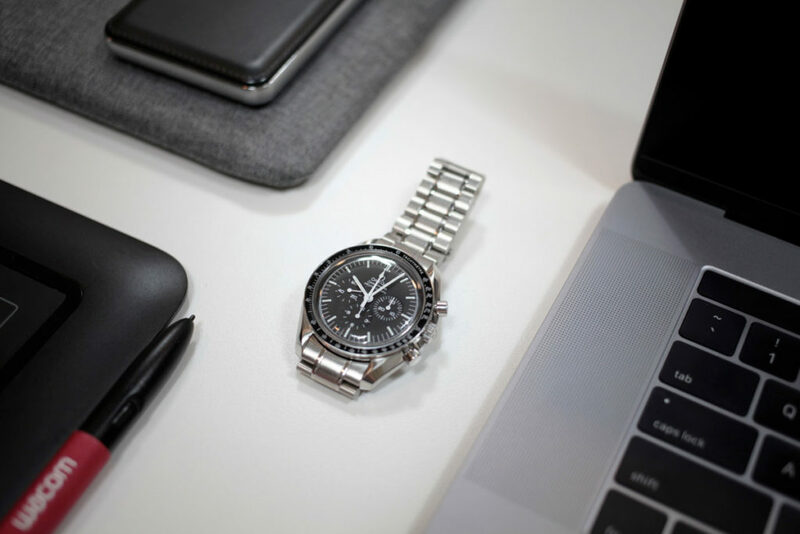 This is how you wear a different watch every day, even if you only have one or two. Unless you’re on a deserted island or living a life sentence, you don’t wear the same things every day. Even shoes, which generally see less rotation than other pieces of attire — you probably have a pair of dress shoes for formal occasions, an everyday pair of sneakers, and a comfortable pair of slippers for the beach. The same should apply to watches and accessories; a wise gentleman is ready for any occasion. 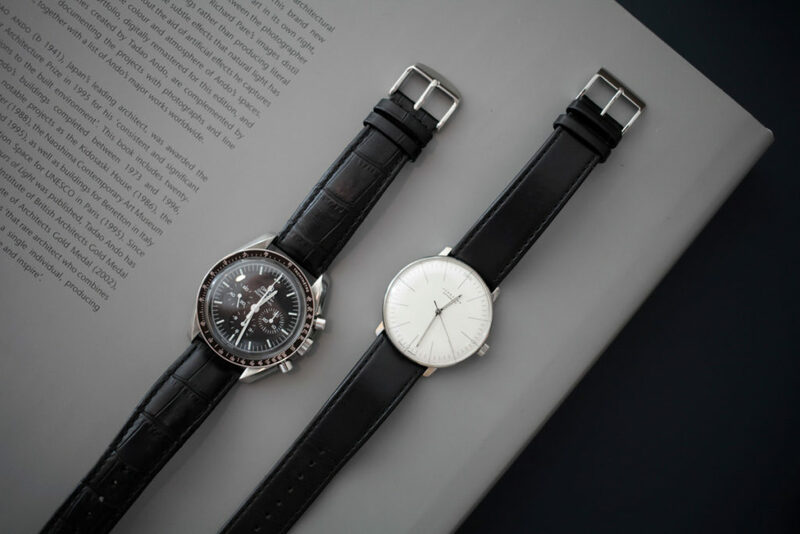 But before you go out and sell your kidney to buy luxury watches for each day of the week, we would like to show you that you can get away with one or two watches and a few straps to achieve the same effect. It’s easy to change straps. 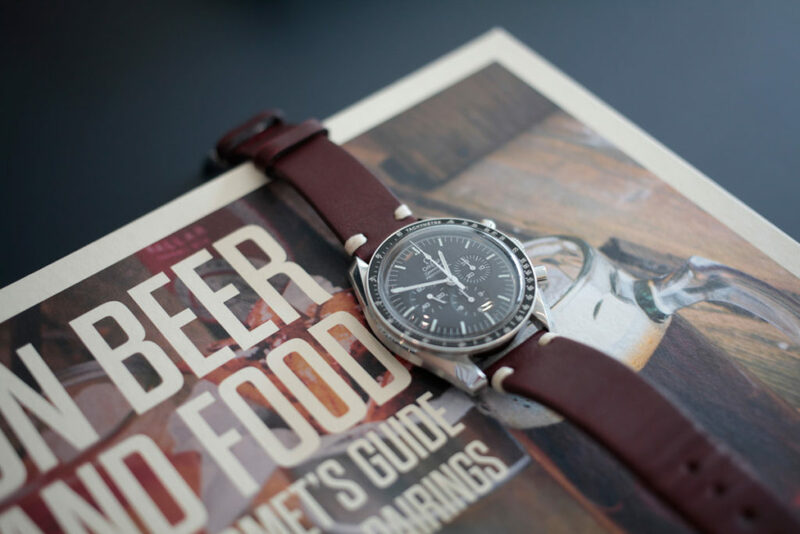 Some watches have integrated lugs, in which case you’ll probably need to head to the manufacturer’s site or boutique for replacement straps, but most of the time you can easily do it yourself with one of these tools. Cheaper strap changing tools are a dime a dozen, and you may even get one for free when you buy straps. Even easier, some straps come with quick release spring bars, which require no tools at all, and it takes literally ten seconds to change them. 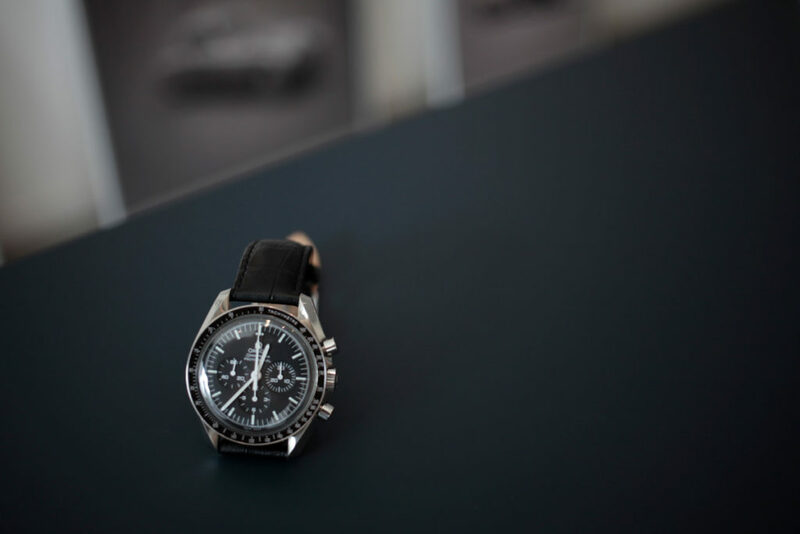 Most men’s watches have lug sizes (i.e., strap sizes) in 18, 20, and 22mm. 19 and 21mm are less common but do exist, so measure your watch’s lug size (or look at the spec sheet) before stocking on straps. Now, let’s get to the fun part. 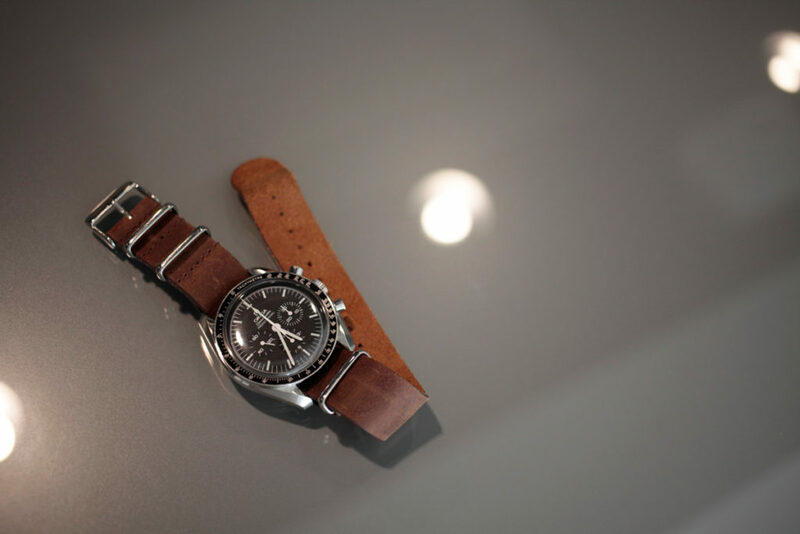 What better watch to demonstrate the power of straps than the most versatile watch of all time, the Omega Speedmaster? 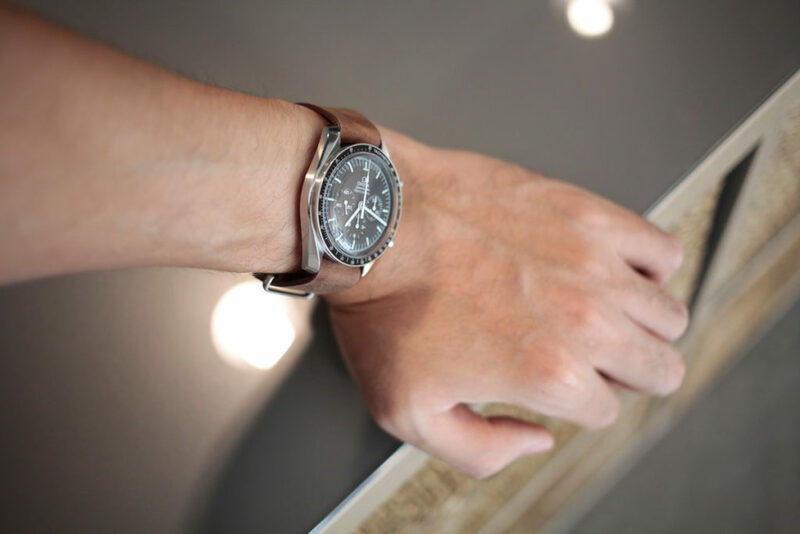 First, the metal bracelet — the standard for most sports watches. It exudes power, masculinity, and versatility, but in a more casual way. Technically, it doesn’t belong in a formal setting, so be careful matching it with a suit (unless you want to look like a Wall Street broker). It’s also the heaviest type of band, nearly doubling the weight of the watch and thus putting a lot of strain on your wrist. All the more reason to switch it up once in a while. If there’s one material that’s as masculine as metal, it’s leather. There are various options with leather that you can experiment with, like color and texture. 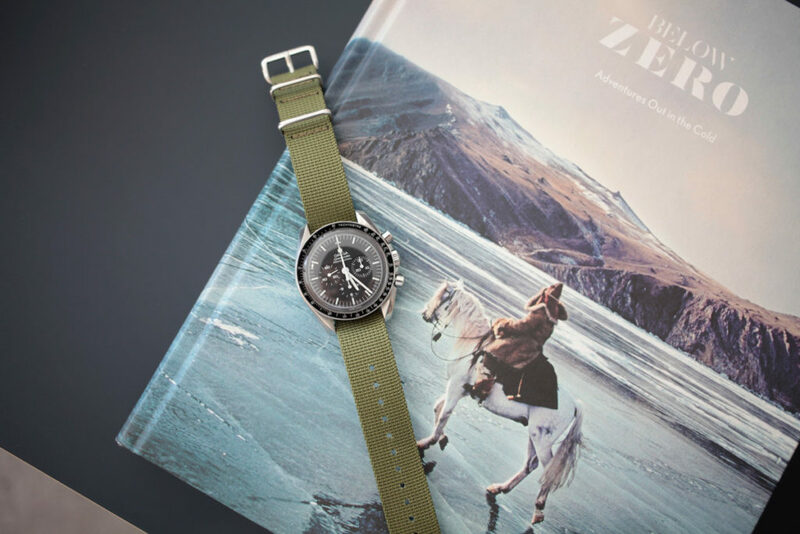 This one is black calfskin, which instantly elevates the look of the watch from sporty to classy. You can even go for lizard or alligator leather, if you’re feeling a bit more indulgent. 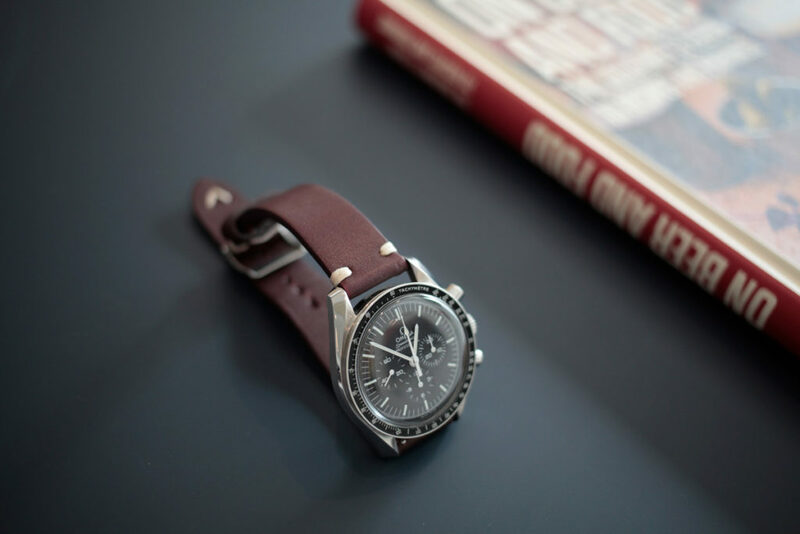 If the black leather above was like a suit, this brown leather NATO is more of a bomber jacket. Of course, if you want even more of a casual look with leather, there’s that too. This time, nylon. 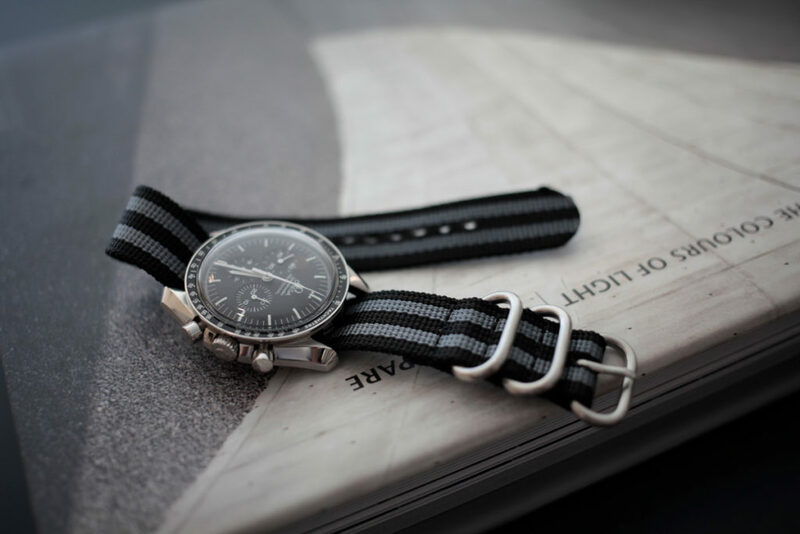 Nylon usually refers to NATO or ZULU straps, depending on the number of layers. ZULUs are simpler, made in one piece, while NATOs have an extra layer under the case back. Nylon straps are sturdy, lightweight, waterproof, and inexpensive to make. 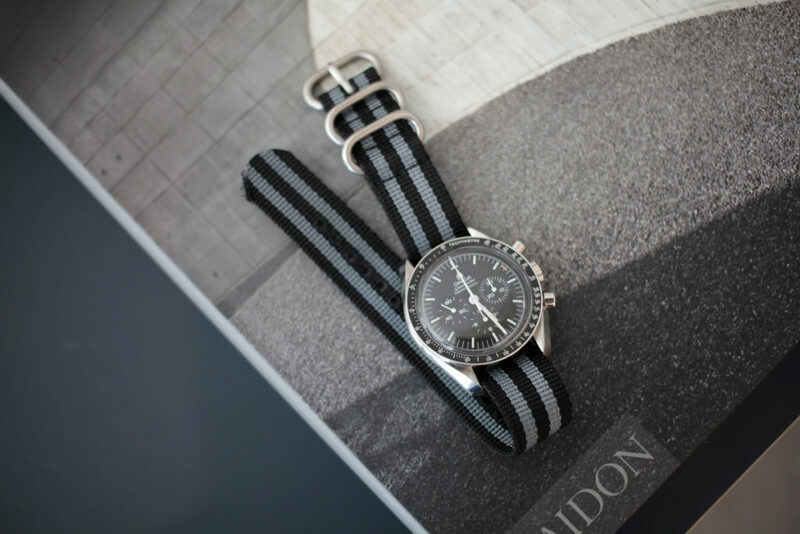 This pattern is commonly known as the Bond style, as Sean Connery’s James Bond wore a similar type of strap in Goldfinger. How about a full blown military look? 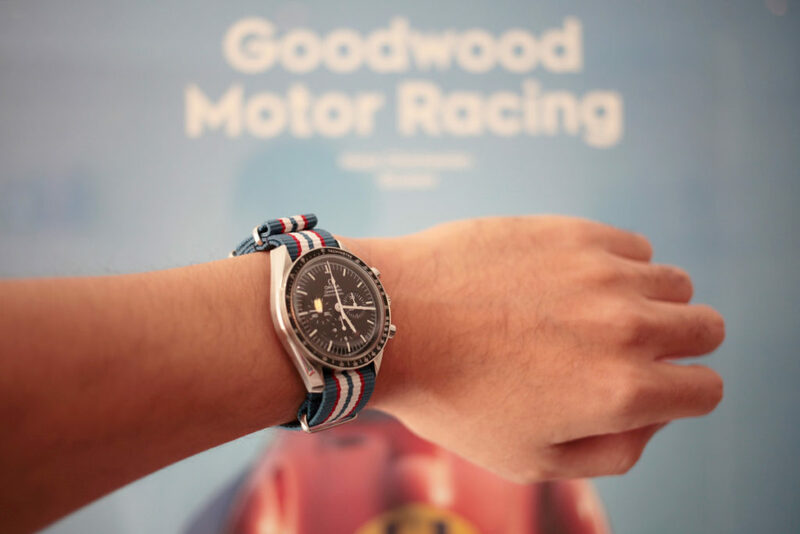 Let’s try a more festive pattern, as an homage to the racing roots of the Speedmaster. More of a dress watch person? 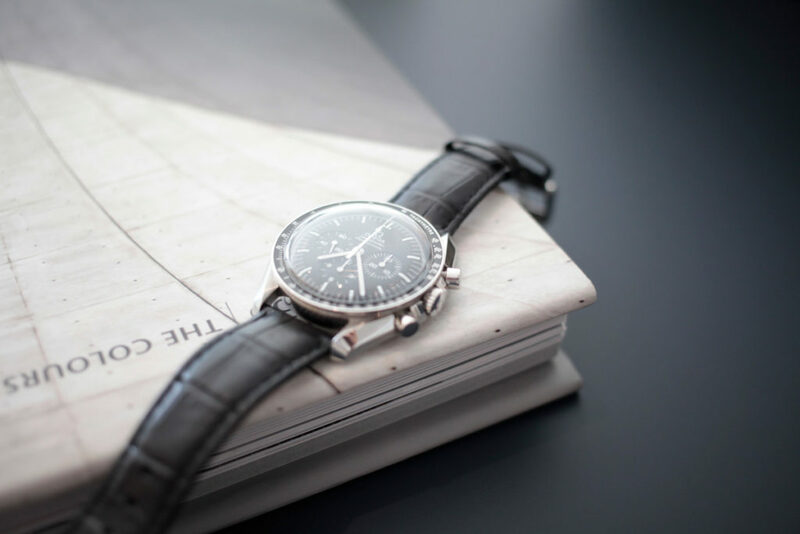 Enter the Junghans Max Bill, an editor’s favorite. 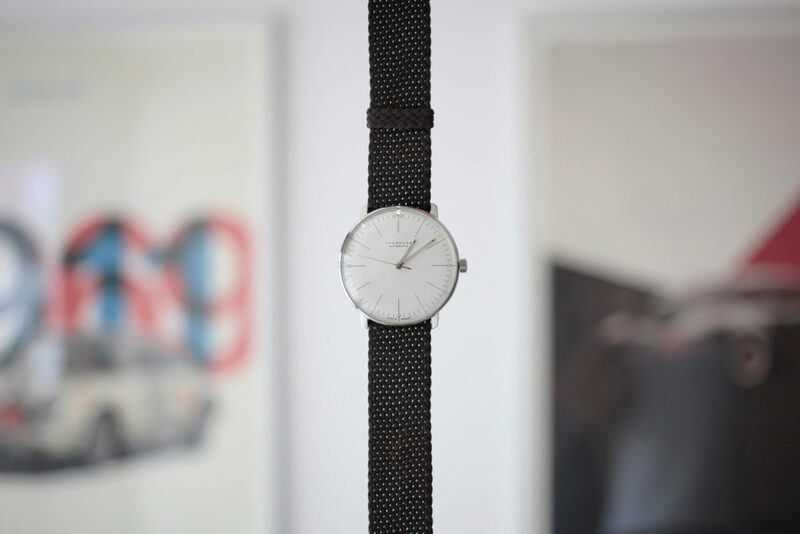 It’s a dress watch, but it’s not too old-fashioned. It can be dressed down with colorful straps. 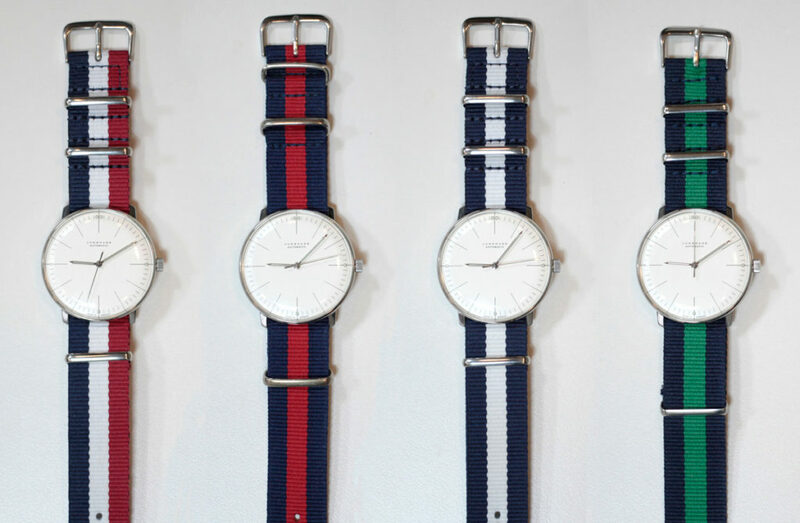 All similar NATO straps, but you can match them to your outfit of the day. The color options are practically endless, from solid colors to national flags. 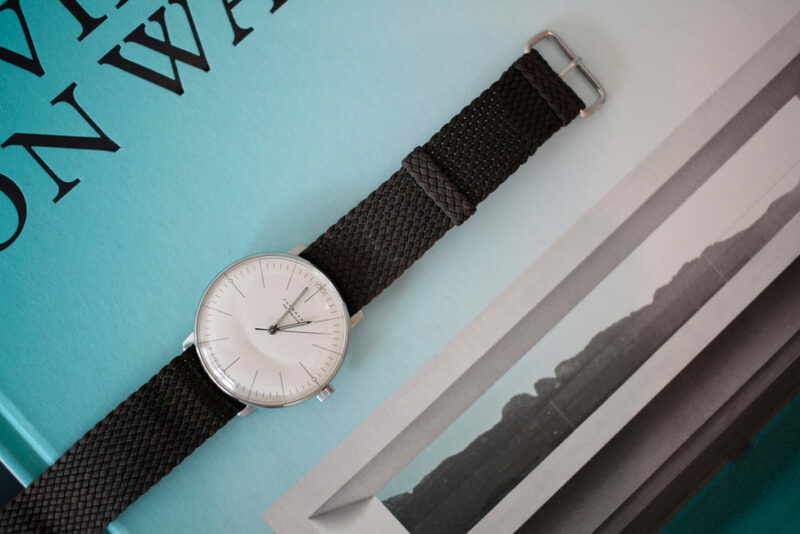 If you want to wear your watch even thinner, consider perlon. Made of nylon weaving, perlon straps have no designated holes for the buckle. Instead, you insert the buckle into any space between the mesh, which allows for micro-adjustments and a perfect fit. Depending on your attire, it can look casual or formal. 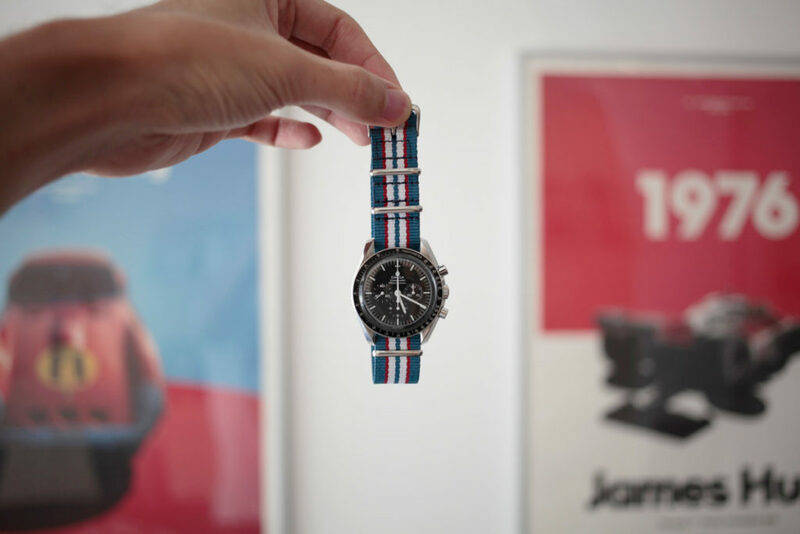 We haven’t covered every type of strap out there (dive watches look great on rubber straps, and dress watches on Milanese), but you get the point. Now, you too can wear a different watch every day.